The above words are the opening statement from Jean-Pierre Melville before his first film about the German occupation of France during World War II, Le Silence de la mer. The words represent his anger, and would color his other two films about the resistance. His take on the occupation is pointed, caustic, tragic, and in many instances he does not pull his punches, accusing both French and German alike of misdeeds. 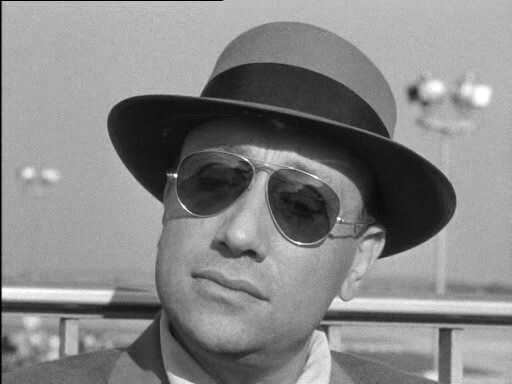 Jean Pierre Melville came from Jewish ancestry, and grew up “in a cultured, bourgeois-Bohemian environment” (Vincendeau). He was fond of American culture, and even changed his surname from Grumbach to Melville in honor of American author, Herman Melville. He served in the military and participated in the French resistance, but details are scant as to what specifically he did. He has revealed little about his activities, and we can only speculate as to the level of autobiography in his later films, although it is clear they are based on his own experiences. Melville became a cinephile at a young age, and during the 1930s he consumed cinema from morning to night. He claimed to go to the cinema at 9am and leave at 3am, immersing himself completely in the world of cinema. Classical Hollywood and American culture influenced him to the point that “for most of his adult life he wore a Stetson hat and dark glasses, and smoked large cigars” (Williams). Despite his obvious appreciation for all things American, he was also entrenched in the French film culture, among others. Politically, Melville was an enigma, but he has admitted to being a communist from 1930 to 1939. Afterward, he became a “right wing anarchist” according to his own words. His films show some of these political images, albeit still with some ambiguity. His resistance films are similar in fashion as many of the left-wing films of the 1930s. His gangster or noir films are less political, but you can see a hint of his anarchic philosophy. His career began in rebellious and anarchic style, with him filming without permission from the unions. He used unconventional methods, such as small crews shooting entirely on location. This would begin his career as a filmmaker in radical fashion. He would produce his films independently and eventually from his own studio, establishing himself as an outsider in the post-war French cinema scene. Melville’s first film shows resistance in a subtle and quiet form. During the war, a German occupying officer imposes on an uncle and niece’s house for lodging. As they live together, he tries to engage the pair in friendship and conversation. He loves France and its culture, and is blinded by the atrocities committed by his side during the war. They resist by not speaking to him, barely even acknowledging his presence. That he turns out to be a likeable and benevolent person is irrelevant to their resistance, and despite his efforts, they do not break their silence throughout the entirety of the film. Unlike many of Melville’s later American-style gangster films, this one was in familiar, French film language. Even though having two main characters hardly speak during the film was uncommon for the time, the tone is similar to the later 1930s darker poetic realism. At first it appears the guest is a foreboding, evil German and his hosts are unflinching and condemning. They have an arc that reveals that they are not as unflinching as they intend. The German has some admirable qualities, and charms his hosts to a certain degree. They emote differently during their later, friendlier encounters. Despite their change in expressions, the French pair do not ever speak. These multifaceted characters are not dissimilar to Marcel Carné’s characters in Hotel Du Nord and Port of Shadows, who are endearing despite their flaws. Another example is how officers from opposing sides find common ground in Renoir’s Grand Illusion. If Melville’s characters would not have parted, they may have eventually broken their silence and found mutual, common ground. What is striking about the film is that Melville is glorifying the German character, and in a sense, indicting the French. By ignoring his overtures, they do themselves and their cause a disservice. They make no progress and live in discomfort for the entirety of the officer’s stay. The resistance in this case is fruitless and unnecessary. The same could be said with the actual resistance, which would in many cases prove divisive and counterproductive. Melville likely saw this lack of progress in person during his own experiences, and his shift away from communism to the right during the war was probably rooted in what he saw and observed as a member of the army and resistance. Of Melville’s resistance pieces, Léon Morin, Priest is the least aggressive and political. The resistance itself is more in the backdrop, as the plot is about a moral, sexual and spiritual exploration between a single mother named Barny and Léon Morin, a Catholic priest. He directs her towards Catholic teachings without directly trying to convert her, yet eventually and surprisingly, she converts on her own, perhaps to protect her daughter who is in hiding, and because of her romantic attraction to Morin. Even though it does not make an overt statement about the resistance, there are a few subtle hints. One example is that her daughter is Jewish and named France, and she is sent away to avoid persecution during the occupation, only to return when the Germans leave. Other examples are in the dialog. When arguing with a co-worker about collaborating versus resisting, she says, “Better that France die than live in mortal sin.” Resistance efforts are often mentioned in passing. In one instance Morin mentions the bombing of a building, which Barny walked by without noticing. There are several areas where it could be argued that Melville is making statements about the resistance, such as Barny’s conversion – possibly she is converting to the resistance and away from collaboration. Again, the film language here resembles 1930s poetic realism cinema. The quiet emphasis on character under the cloud of resistance recalls some of the gloomy late 1930s darker pictures. The story is dialog driven with little action, unlike other mainstream resistance pictures. The relationship between the two leads is high on drama, romanticism, poetry, and reality. 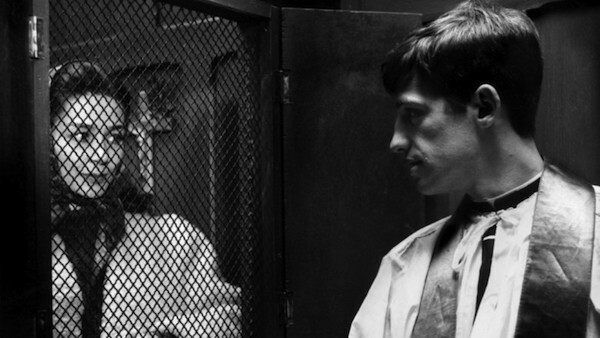 Léon Morin, Priest was released in the midst of the French New Wave period, and the leads were both famous from New Wave films, yet the film had less in common with the films of its time and more in common with pre-war films. It is also worth noting that Barny is communist, which Melville decidedly was not at the time, although there may (or may not) have been some lingering sympathies from the time that this was set. Since he had reformed, there is a chance that Barny’s transformation and conversion was a mirror of Melville’s change in political beliefs. At first glance, the film is not as anti-French as Le silence de la mer, but there are some mixed messages. Melville is clearly pro-resistance, as expressed in Barny’s argument and by Morin’s actions and sympathies towards the Jewish, yet he is not as clearly pro-French. By Barny sending her daughter away, he could be implying that the real France is absent during the resistance, influencing Barny’s spiritual crisis. There is also the matter of Barny’s workplace and the contrast between resisting and collaborating. The fact that prominent characters are collaborators reopens some old wounds. The biggest indictment and most surprising given Melville’s American influences is near the end of the movie after the Germans have left. The Americans have taken over, and two of them try to sleep with Barny. While they may be the French saviors, they are hardly morally superior to the Germans. After they leave, Barny’s daughter France asks “Are they Germans too?” Melville might have loved American films, but that did not mean he loved American soldiers in his homeland after the war had ended. Of the three Melville resistance films, Army of Shadows is by far the most ambitious, the most personal, and the most highly regarded. It is the story of a resistance cell, mostly from the perspective of Philippe Gerbier, one of the upper level members. The character is allegedly a composite of people Melville actually knew. The story begins with his jailing and escape, and follows along his further adventures as an active member of a resistance group. It ends with the death of virtually everyone in the upper echelon of the organization. The film is both an adventure and a tragedy. This was one of Melville’s final films, and was an outlier compared to his productions in this late era. Aside from Army of Shadows, his films were exclusively highly masculine gangster film. Like his previous two resistance pieces, this film had some dark minimalism, which was also present in some of his gangster films. 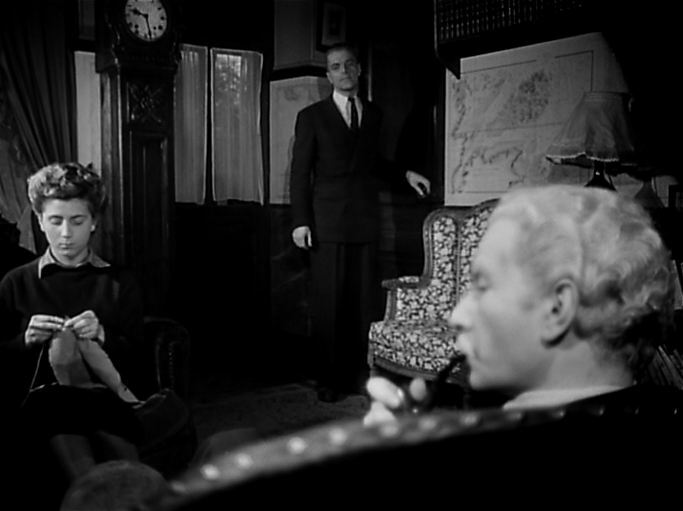 The remnants of poetic realism and most other French influences were for the most part discarded in favor of American and English (primarily Hitchcock) crime films. The realism within the movie has less to do with the 1930s, and more to do with Melville’s personal experiences, including his hero worship from the time. His earlier, realism films countered the idea of resister as hero, whereas this film embraces and perpetuates it. The message in this film is not subtle — the major players in the resistance were courageous, undeniable heroes, but that it was ultimately a waste of efforts, as it cost more lives than were saved. The fates of his main characters punctuates that the resistance was an unspeakable tragedy. While he does not place blame for the futility of the movement, it is hinted that the lack of organization among movements and the hesitation of the French populace to take sides doomed their efforts. Much of the time spent by the resisters in both the film and history, was in rooting out and executing traitors. The evidence of Melville’s goal with this film is in what he changed from the source material. Ginette Vincendeau notes that Melville “changed the novel to a different vision of resistance characterized by misery and destruction.” She also notes that unlike the previous two resistance films, the Germans in Army of Shadows are unequivocally evil. There are no redeeming values or morality within any of them. Like with Melville’s gangster films, they are portrayed as the bad guys and are flat characters. Even though more than 25 years had passed since the war ended and this film was produced, Melville’s personal experience screams at the viewer. His anger had not subsided. It is mostly directed towards the Germans, although the French are not unscathed. They are held accountable for incompetence, and they are often shown as collaborators who thwart the heroes. The key example is when Gerbier commands Mathilde to not carry a picture of her daughter with her. Mathilde disobeys and this is the one action that results in the undoing of the entire operation. Melville spoke from experience when he made his three resistance films. His first resistance film was close enough to the war that the memories and emotions were still raw. This was both a cathartic and a career breakthrough for him. His second resistance film was a way for him to passively process the spiritual and moral dilemma that encompassed not just him personally, but the entire French people during the time. His final piece on the subject was by far the most autobiographical, the most personal and the most damning of the cause as a whole. Enough time had passed that he was able to tell the tale from a distance, using the American film style that he had become accustomed with. Even with the years in between, his anger towards the entire experience is palpable. There were many filmmakers that addressed the resistance, including Louis Malle, Claude Chabrol, René Clément, Francois Truffaut, among others. While all of these filmmakers lived during the war and had personal experiences and emotions, they were not as deeply involved in the activities as Jean-Pierre Melville. Like many of them, he became a highly skilled director and had a way of expressing his experiences and ideals through film. As a result, his resistance films, particularly the first and last, are among the most profound and memorable on the subject. Hayward, Susan. French National Cinema. Phillips, Richard. World Socialist Web Site. Vincendeau, Ginette. Jean-Pierre Melville: An American in Paris. Williams, Alan. Republic of Images: A History of French Filmmaking. Posted on April 26, 2015, in Essays, Film. Bookmark the permalink. 7 Comments. Aaron, very nicely written. Of the three, I’ve seen only “Army of Shadows” and it vies with his prototypical American-style noir “Bob le Flambeur” as my favorite of his films I’ve seen. 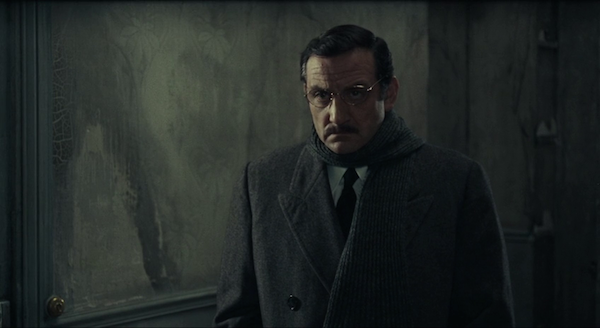 Tough guy Lino Ventura, who was so good in “Le Deuxième Souffle,” is outstanding here–motivated by good intentions but ruthless in his methods. Simone Signoret is very effective in the supporting role of Mathilde. Melville conveys the constant danger these people face quite vividly, and it makes for a relentlessly tense mood. You might be interested in what David Thomson says of the film, that it “subtly turns the underworld [of his thrillers] into the Resistance.” This would seem to echo your idea that the Resistance fighters are anti-heroes towards whom he had mixed feelings, that in working for the “good” side, their actions didn’t always further that cause. Thanks Richard. Great comments! I’ll look for that Thomson piece. It sounds like we reached similar conclusions. Well done. Ironically, I am reading a friend’s manuscript who as a young boy lived through the Nazi occupation of France. He and his family fled to the countryside and lived in a farmhouse for two years before the liberation. His father worked for the resistance. An incredible period of history. It sure was. This piece was actually extracted from a large study I did in school. There were other sources on the resistance that I didn’t cite here, but had many fascinating stories. It was an interesting period of history, but unfortunately one full of tragedy. The French and Italians were exceptional at processing the tragedy through film. Wow! What a well-written and well-researched post. You’ve sold me on Melville and these three films. I appreciate that! Melville is a talented filmmaker and his films are consistently pretty good. I’d probably start with Bob le Flambeur.